Wearing paper crowns and flourishing sparkly, sequined red capes, "Super Readers" in kindergarten teacher Teri Mello's class paraded into the West Tisbury School cafeteria for a celebration Friday morning. Mother, may I go and swim?Yes, my darling daughter. The recent disastrous oil accident in the Gulf of Mexico can be a turning point in history. The members of the MVRHS junior class and the junior class advisors would like to deeply thank all those who have donated time and money to our fundraising efforts this year. Well, it looked like an almost impossible task, but the crews building the sidewalks and resurfacing the roadways downtown have finished, and what a great job they did. The lilacs are in bloom and looking quite beautiful. Martha's Vineyard will honor Memorial Day with a mixture of barbecues and solemn ceremonies of remembrance. Maybe it's in the genes. 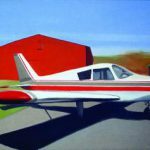 Dragonfly Fine Arts Gallery at 91 Dukes County avenue in Oak Bluffs opens its doors this week, celebrating with a full roster of 23 artists and new work. Abigail Larsen, daughter of John and Susan Larsen, has won the Lillian and Arthur Dunn Scholarship given by the National Society of the Daughters of the American Revolution. 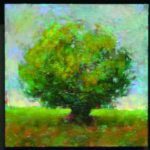 The Eisenhauer Gallery will celebrate its 10th anniversary in style on Saturday, May 29 from 6 to 8 pm, with a recreation of its first opening night a decade ago. Congratulations to Emily Laursen and Dominick Biocchi, who were married on Saturday afternoon. I'm getting a little disturbed by all the gossip around here; I mean I have heard so much gossip the past week and I can't use any of it in my column. Addiction is a very misunderstood subject and a devastating disease many of our Islanders suffer, be it directly or indirectly through someone we love. To art collectors, it's a once-a-year opportunity to see the latest work from more than 130 of the Island's top artists under one roof. 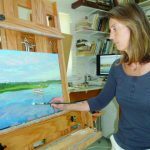 The Granary Gallery on Old County Road in West Tisbury, is hosting a trunk show featuring textiles by artist/painter Carol Maguire. Anne Lawton Broome, 84, died at her home in Edgartown on Thursday, April 15, of pancreatic cancer. In a courtroom filled with family, friends, and sadness, Kelly McCarron, 18, of Edgartown pled guilty in Edgartown District Court Friday to vehicular homicide, while driving under the influence of alcohol.